Stroll from your Wailea Kai home to Keawakapu Beach, one of Maui’s most famous white-sand beaches. Wailea Kai features about 100 homesites spanning 34 acres in one of Maui’s finest resort communities. With gate entry and a private community park, the development offers its residents a safe, private neighborhood just above one of Maui’s best beaches. Acclaimed restaurants including 5 Palms and Sarento’s are within walking distance from the gated community, which is a short drive from Makena or Kihei. Paddleboard or whale watch steps away from the home, or explore shopping and world-class golf courses nearby. 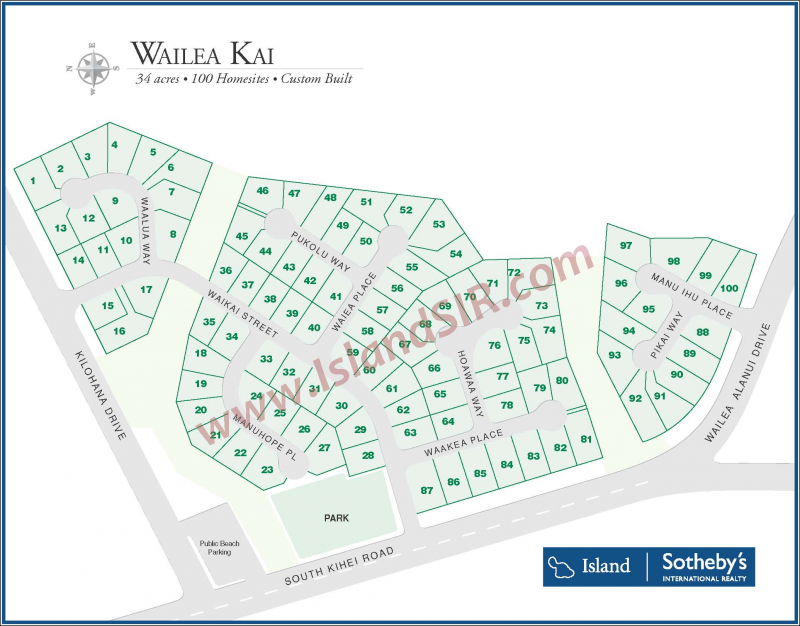 Thinking of purchasing or selling a Wailea Kai for sale? Contact us for a private consultation - our team encompasses some of the utmost experts in the Wailea real estate market who would be happy to answer any questions.